Working onboard is truly a lifestyle change from any other career path, and the compensation, although different from that of a land-based position. In one cruise ship you will find more than 1000 employees working in various Departments. The Departments are as given below. Hotel Operations is comprised of many diverse areas - all operating harmoniously ... each of them with a particular expertise, but all of them with one common goal - to create the vacation experience of a lifetime for guests. From preparing the culinary delights that help our guests truly savor their international experience to making each stateroom a 'home away from home'; from providing genuine service that makes each interaction exceptional to enriching guests with their knowledge of the unique destinations. The housekeeping division is one of the largest areas of our entire onboard staff. This team focuses on guest satisfaction and comfort, while upholding the high quality standards of service. This department is full of seasoned professionals who focus on even the smallest details in order to ensure the highest standards of cleanliness and guest service. Financial services department specializes in managing the many fiscal needs onboard. This team supports the operations in various accounting functions, financial controls, and related financial data. The information kept in this unique department is broken down to report audit information, profit and revenues generation, and to ensure that expenditure requirements are met and monetary items are monitored. Shore Excursions team help guests maximize their visits to the different ports, through the wonderful tours available for purchase onboard. Works the assigned Shore Excursion desk hours. Assists guests with tour descriptions. Promotes and sells tours based on needs and cross-sells or up sells tour packages while achieving revenue goals. Provides guests services with regards to tour sales, refunds, complaints and general port and ship information. Prepares and submits on a timely basis, all required reports. Prepares all reports utilizing the computer equipment. Maintains TTG computer system and operates point of sales (POS) computer terminals. Provides training to new Shore Excursion staff members. Food and BeverageFood & Beverage team is one of the largest on board. You’ll find more than 100 chefs – ranging from trainee to executive level. From producing mouth watering meals to serving up deliciously refreshing cocktails, this department works around the clock to ensure our customers receive a world class service, award winning cuisine and memorable experiences at bars, restaurants and lounges. There are entry level positions for waiters, cooks, bar servers, hotel stewards and galley stewards, lots of management and supervisory positions. Culinary department has 3 types of employees -- chefs, cooks, and food preparation workers. While chefs and cooks share similar duties, chefs typically have more training than cooks, including culinary degrees. Food and beverage service responsibilities are manage food and beverage outlets, restaurant manager, beverage manager, waiters, stewards fall into this catagory. Food service responsibilities are manage restaurants, dining rooms, galleys, restaurant manager, waiters, stewards, Galley staff fall into this catagory. Entertainment is everything on Cruise ship. It’s diverse. It’s fun. And above all, it’s extraordinary. In this team, you’ll find everything from entertainment officers and DJs, to musicians and event planners. But none of the magic can happen without the amazing work of our Production team. From operating the lighting and sound desks to creating fantastic effects, they really know how to bring the entertainment to life. 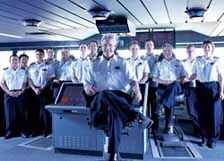 There are more than 1000 people working on a cruise, to manage so many crew members HR departmenmt is required. The Shipboard Human Resources (HR) Department is responsible for the strategic implementation of our shipboard HR processes and procedures, training and development, crew onboarding and everyday crew needs including recognition, awards and crew recreation. Positions include the Shipboard Human Resources Director, Training and Development Manager, Manager of Staff Administration and Human Resources Coordinators. Guest Services are the frontline ambassadors of Cruise Ship and play a vital role in overall guest satisfaction. 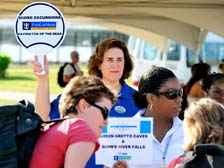 Duties range from assisting with guests’ onboarding and debarkation to resolving guest queries and complaints. Positions include the Guest Services Manager, Guest Services Supervisors and Guest Services Associates. For running, operation and maintenance of cruise ship, there are two departments. Deck Department and Engine Engine Department. The Engine Department on each ship is responsible for operating the ship’s engines and for maintaining the engine room, as well as all equipment on board. The Engine Control Room is staffed 24 hours a day by licensed engineers, who monitor all on board operating systems. Positions include Chief Engineer, Staff Chief Engineers, Engine Officers, Electronic Officers, Plumbers, Electricians, Oilers and Wipers.